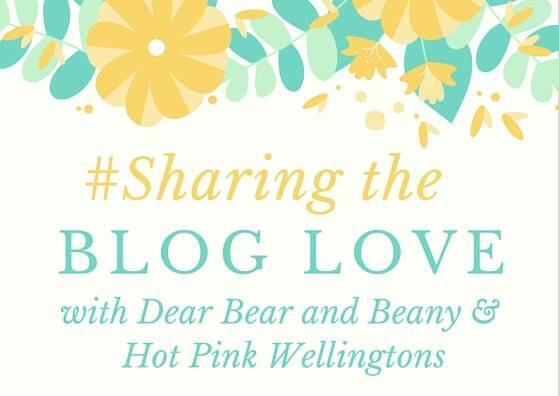 Anyway back to Sharing the Blog Love, my linky which I co-host with the lovely Katy from Hot Pink Wellingtons. We had a new record of people joining us last week, which was lovely to see. Plus there were lots of lovely comments on your posts with our hashtag which was brilliant. Thank you to everyone for taking the time to comment, it really is what makes linky’s so great. If this is your first time to Sharing the Blog Love, welcome and you can find all about here.